Jerry Presley Announces Special All-Gospel Elvis Show! World-famous Elvis tribute artist Jerry Presley will be performing a very special all-Gospel show on August 12, 2018! Special All-Gospel Elvis Show on August 12, 2018! One of the world’s most sought after and critically-acclaimed Elvis Presley tribute artists, Jerry Presley has announced that he will be performing a very special, one-afternoon-only, all-gospel show! On August 12, 2018, Jerry will be performing some of yours (and Elvis’) favorite songs for an afternoon gospel show at 3:00 pm that you won’t want to miss! 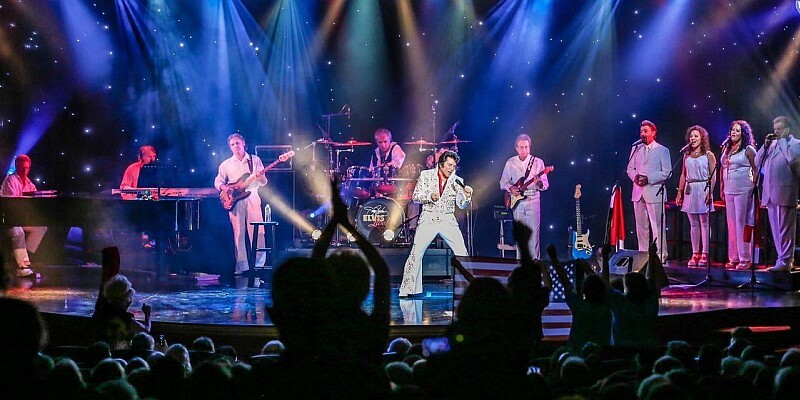 Performing at Jerry Presley’s God & Country Theatre on the famous Highway 76 “Strip,” the special show offers fans the chance to see one of the best in the world paying tribute to the King of Rock ‘n Roll! While the popular Elvis LIVE! show is performed throughout the year, this special limited engagement performance is a departure from his regularly scheduled shows (that include Aloha from Hawaii, Madison Square Garden, and Christmas with Elvis). This special gospel show will showcase the amazing talent and incredible energy of Jerry Presley, in a one-time show that will leave you amazed, uplifted, and inspired! The 3:00 pm matinee show also gives Branson visitors yet another chance to catch this amazing performer, as Jerry’s performances usually take place at 8:00 pm throughout the week. World-Renown Performer & Cousin of Elvis Presley! Jerry Presley has toured the world, performing in some of the world’s most famous and recognized venues. Packing the house wherever he performs, Jerry has firmly secured himself as one of the best Elvis acts to ever take to the stage and the most popular Elvis show in Branson! As one of Elvis’ cousins, he brings the high-energy, enthusiasm, and showmanship that only the most seasoned performers and entertainers possess. His remarkable and uncanny resemblance to the late, great music icon will leave you in disbelief! You will get lost in the music and songs as Jerry faithfully recreates the looks, sounds, and mannerisms of one of the greatest music artists of all time! Star of Elvis LIVE! in Branson, Missouri! No stranger, to Branson – Jerry performs regularly throughout the year at his very own Jerry Presley’s God & Country Theatre. Visitors can see Elvis LIVE! on stage in Branson, Missouri – with performances taking place year-round. 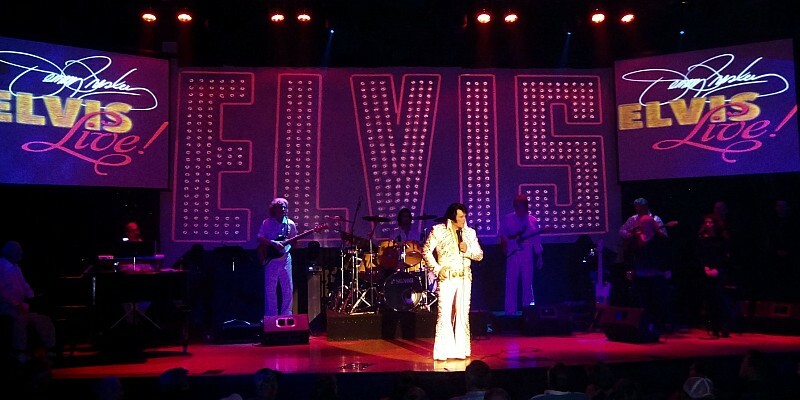 The venue is home to some of the most popular and up-and-coming shows in the area, and features Jerry’s Elvis LIVE! show throughout the year. Reserve Early, Seats Will Fill Up Fast! 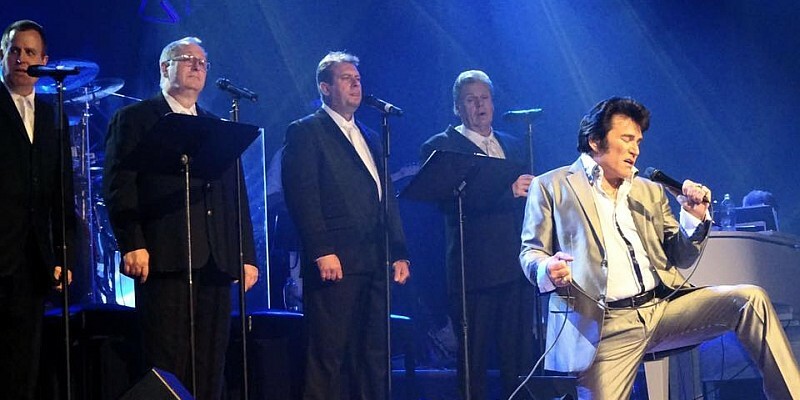 Because of the very limited availability and special one-time show, seats for this special Elvis gospel show are sure to fill up fast – advance reservations are strongly encouraged and recommended.